India marked its 66th Independence Day on August 15, 2013. As part of Mozilla’s global Maker Party, we invited webmakers from across India to participate in a national Day of Remix. The response was outstanding! People from all corners of the country created informative and patriotic Makes in honour of India’s independence. 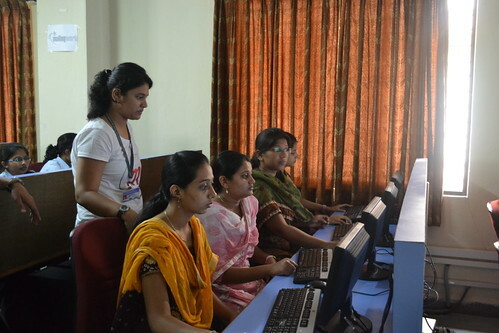 At the Dnyanganga Institute of Career Empowerment and Research in Pune, India, webmakers gathered to learn about the open web and work together under the guidance of Mozillians Diwanshi Pandey and Ankit Gadgil. After a brief introduction, Diwanshi and Ankit asked participants to use pencils and paper to sketch out what they knew about India and Independence Day. This technique, known as paper prototyping, is a great way for webmakers to learn to consider design and user interface details. With their sketches complete, the group got to work in Thimble by remixing a selection of Starter Makes prepared for the national Day of Remix. In only a few hours, participants were able to create some fantastic Thimble pages, including a comic, a magazine cover and a micro blog. 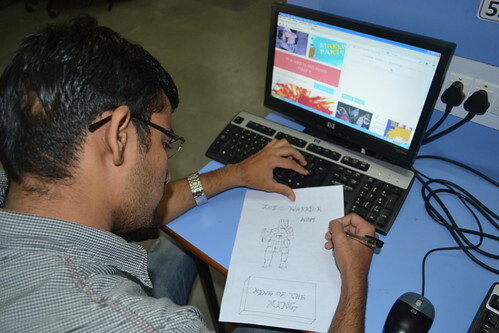 In addition to those who worked together in Pune, other webmakers independently participated in the national Day of Remix. Dron Rathore created an impressive interactive map while Umesh Agarwal used Popcorn Maker to subtitle a music video. Congratulations to everyone who participated in a successful national Day of Remix! Learn more about the global Maker Party. Connect with Diwanshi Pandey and Ankit Gadgil on Twitter. Check out more makes from India’s national Day of Remix. Find other great events happening in your area.